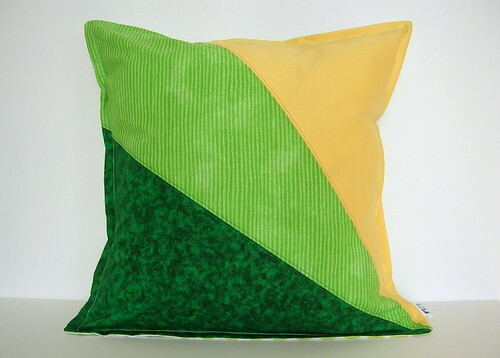 Pillow Cover in Green, Lime Green and Yellow. Playfullygrownuphome on Etsy. Serving Suggestion for a Decorative Pillow Cover. Brandon Barre Photography; via decorpad.com. 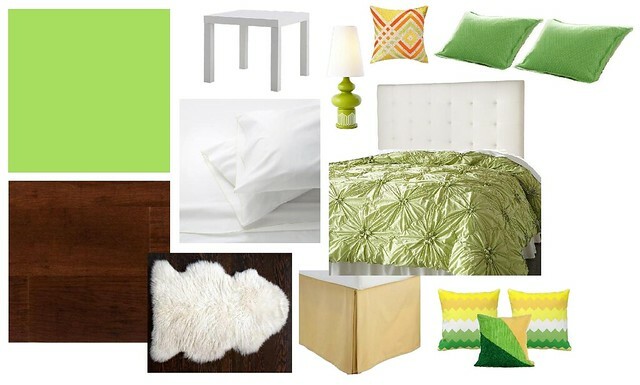 I’d be happier with the simpler room. Which one would you prefer?